Offering you a complete choice of products which include chemical vessels and hdpe vessels. 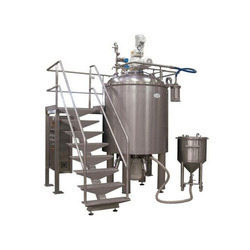 We offer industrial Chemical Vessels For Pharma Industries that is manufactured using superior quality raw material procured from reliable vendors of the market. Keeping in mind the specific requirements of our clients, we also offer customized solutions at highly affordable prices and deliver our range within the stipulated time frame. We manufacture HDPE Vessels for storage of many different dangerous liquids including- the liquid detergents, ferric sulphate, ferric chloride, aluminium sulphate, hydrochloric acid, hydrogen peroxide, sulphuric acid, nitric acid and sodium hypochlorite.